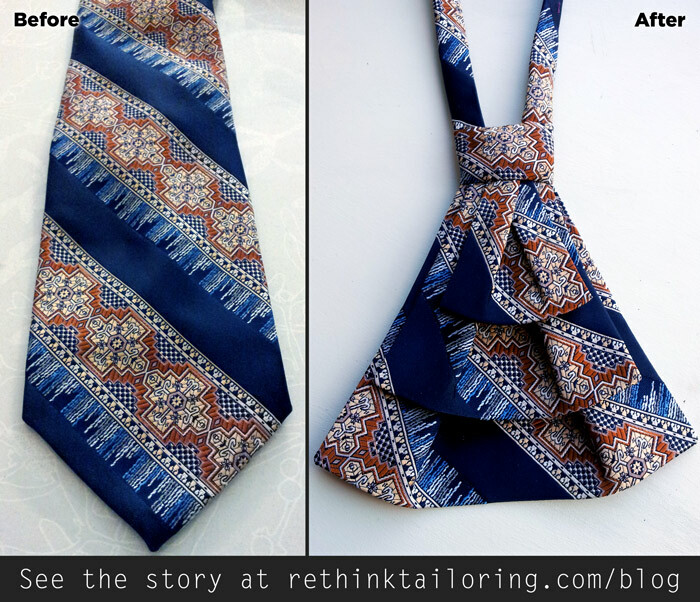 If you haven’t figured it out, I like to recycle, and in this case, vintage men’s ties. If you haven’t seen this design, I call it the Ascot, perfect for men or women to wear. Of course it isn’t like the traditional ascots out there, but I typically panic under the pressure of naming my designs. Therefore it is my version of the Ascot, plain and simple. 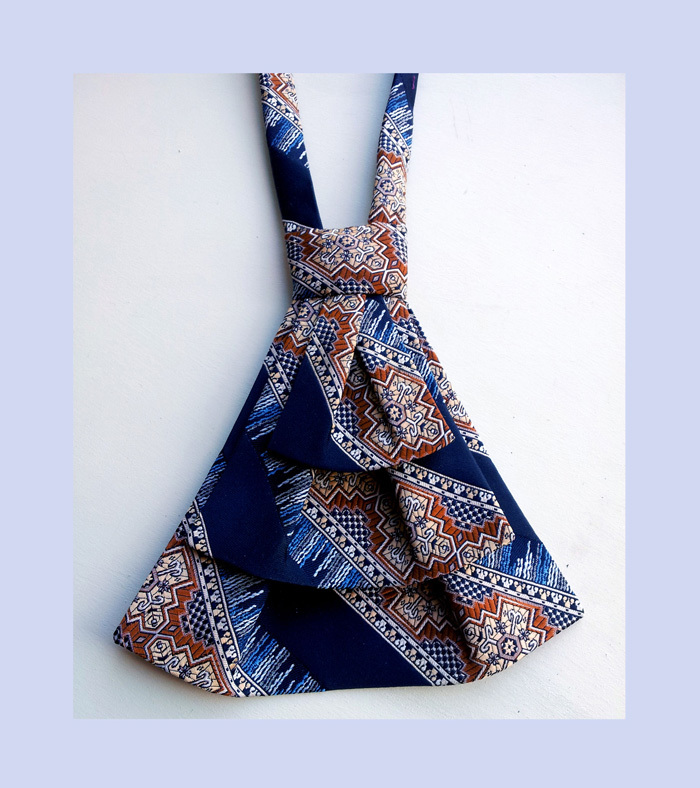 My other recycled tie design is the Lady Tie. Both can be done with custom orders, as this one was for the lovely Dafna.